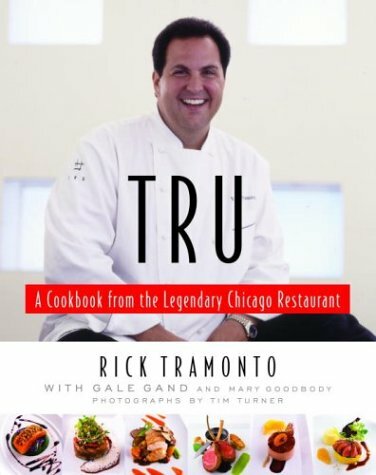 From Chicago's renowned Tru restaurant comes an array of recipes by executive chef Rick Tramonto that will stimulate the palate and inspire unforgettable meals. The book collects recipes for many of the restaurant's most popular creations. Included are tempting offerings for every phase of an extraordinary meal--from hors d'oeuvres and amuse-bouche to soups, salads, and poultry and fish dishes, such as Black Trumpet Mushroom--Crusted Ahi Tuna, and meat entrees, including Roasted Beef Tenderloin with Truffled Potato Puree. Executive pastry chef Gale Gand's unsurpassed cheese and dessert dishes round out a perfect menu. With essays by Tramonto and Gand, and illustrated with more than sixty color images by James Beard Award-winning photographer Tim Turner, the book invites readers to experience the understated elegance of the world-famous restaurant itself. Masterfully written recipes and thorough testing ensure that cooks of all levels can enjoy a Tru taste at home.